Spring Cover made from PVC containing thick 14mm foam. 1. 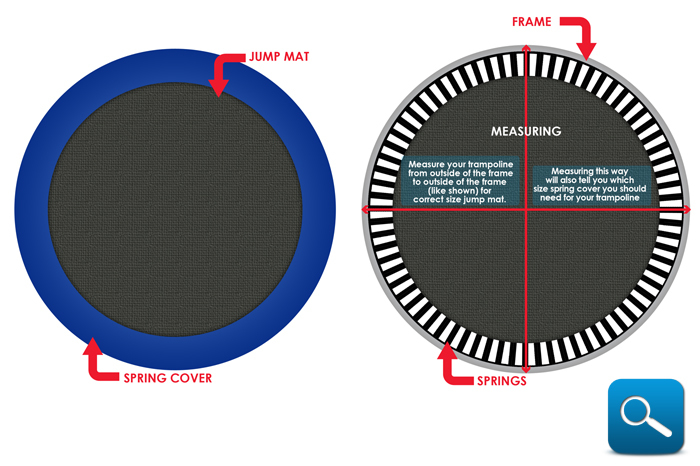 Measure from the outside of the frame to the outside of the frame to see which size jump mat you'll need. See example below. 2. Measure from outside of frame to the outside of the frame to see which spring cover you'll need.